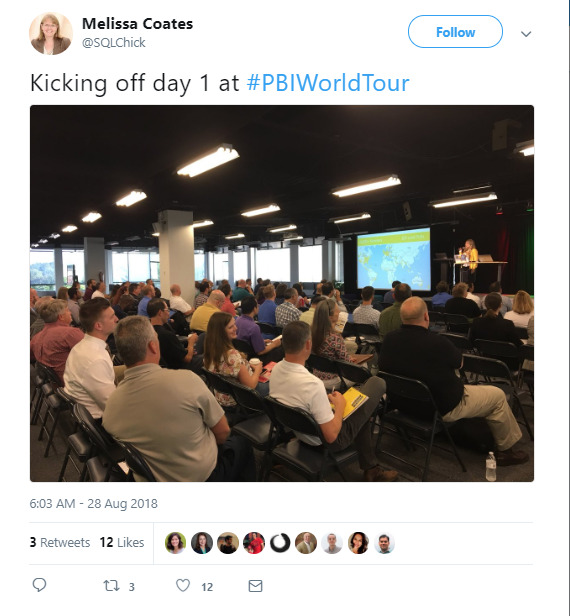 The first four stops of the 2018 Power BI World Tour wrapped up in September. 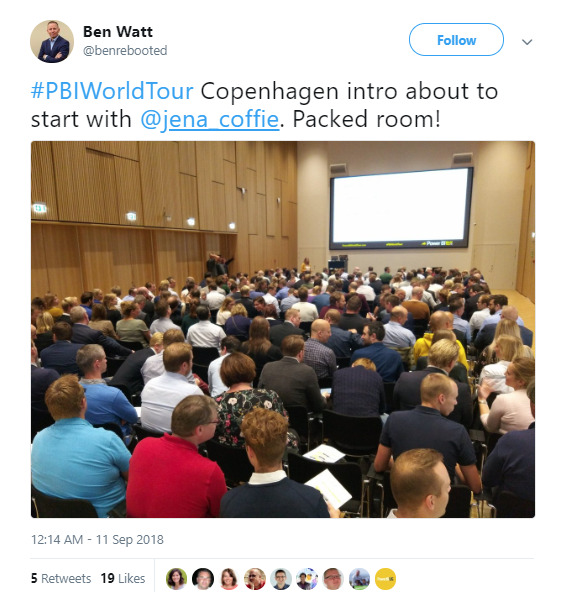 Hundreds of attendees showed up to Melbourne, Sydney, Charlotte and Copenhagen to learn from local experts and connect with other Power BI users. The agendas were filled with great content, speakers and plenty of opportunities for networking. General session presented by Andrew Coates, one attendee said: "I really got a lot out of the introduction and General Session. It showed the enthusiasm of the keynote speakers" "Inspiring speakers who love Power BI"
Having so many "heavy-hitters" presenting. 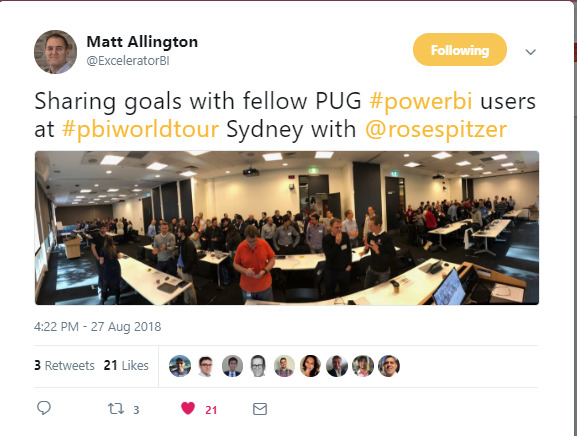 Lots of PUG Leaders and MVPs were able to attend. Panel session led by @Matt Allington that wrapped up the day was great. It was fun to see the experts sharing their opinions and ideas. One Charlotte attendee noted, "The sessions were the best part. Having people from the community who do this as part of their job and not just in theory was fabulous. I felt like I was getting "insider" knowledge." 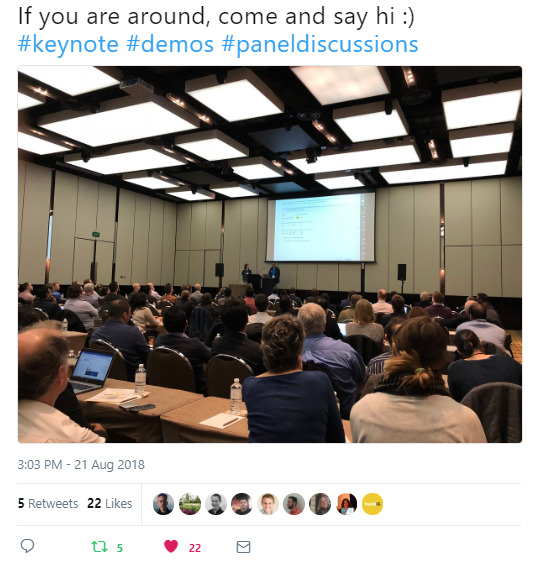 There is still time to register for the remaining PowerBIUG events in 2018. Click each city name to see more information.